Brussels Sprouts are the go to vegetable side dish on many a Thanksgiving and Christmas dinner table. Brussels sprouts are a part of the cruciferous vegetable family, and supply a rich variety of nutrients with very few calories. Cruciferous vegetables, like Brussels sprouts, should be at the very top of everyone’s produce grocery list when looking to enrich their diet, as they are considered one of the better green vegetable sources of protein, plus just one serving meets the daily requirement of vitamin C and vitamin K.
As Brussels sprouts are listed in this week’s Produce Alliance Market Report as a great buy, due to their bountiful supply and fantastic quality, we thought we’d share an easy to prepare side dish to consider adding to your menu this Holiday season. Wash Brussels sprouts, cut off ends (root) and discard, then cut each sprout in half. Place Brussels sprouts in large bowl, drizzle with 1 teaspoon of olive oil, sprinkle with a bit of salt and pepper, and toss to evenly coat. Set aside. 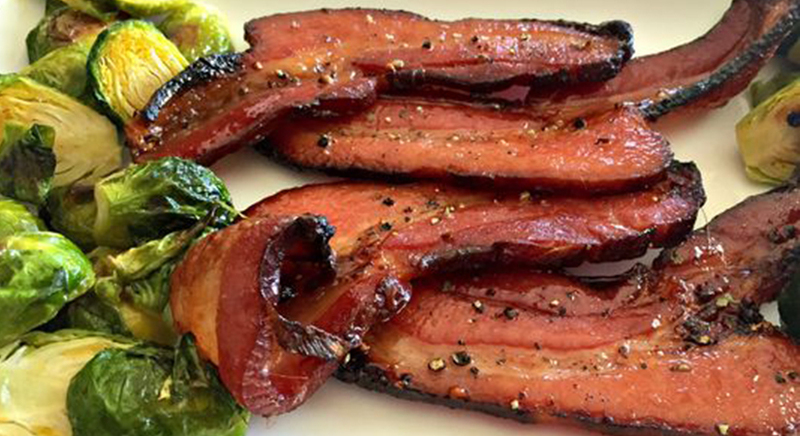 Cook the bacon and hazelnuts in a large oven-proof skillet over medium heat until the bacon starts to become crisp and hazelnuts become slightly toasted, about 4-5 minutes. Transfer the bacon and hazelnuts to a medium bowl and set aside. 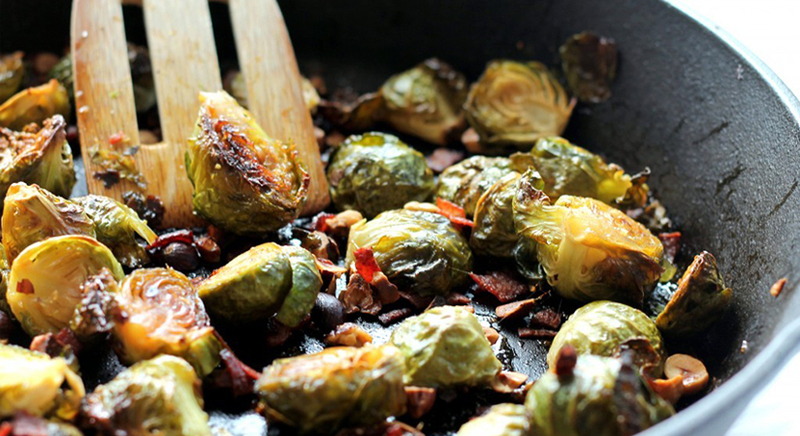 Keep heat and add the Brussels sprouts to the skillet. Drizzle maple syrup all over Brussels spouts and stir in pan to evenly distribute on the sprouts. Cook Brussels sprouts in pan for about 5 minutes or until they become a bit caramelized and get a tiny golden brown. 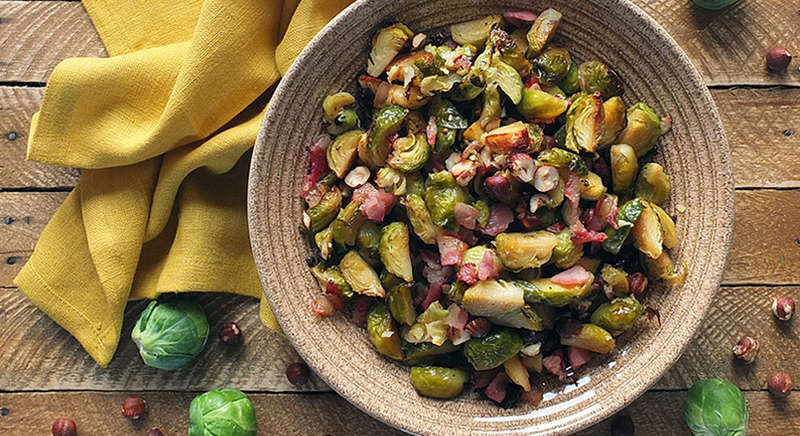 Put pan in the oven and roast the Brussels sprouts for about 30 minutes, the add the bacon and hazelnuts to the pan with the Brussels sprouts and roast about 10 minutes longer or until sprouts are caramelized and golden. Add salt and pepper to taste.